Bow-WOW! 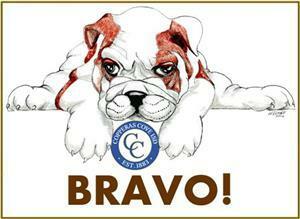 Have you seen one of our CCISD family members doing a dog-gone good job? Someone that pawsitively went out of his/her way to help you? Throw them a bone by letting us know that this person deserves a Bulldawg Bravo! Click here to complete your nomination form. Thanks for taking the time to recognize one of our employees!